Do you remember those light up shoes other kids had, but your mum always said you couldn’t? 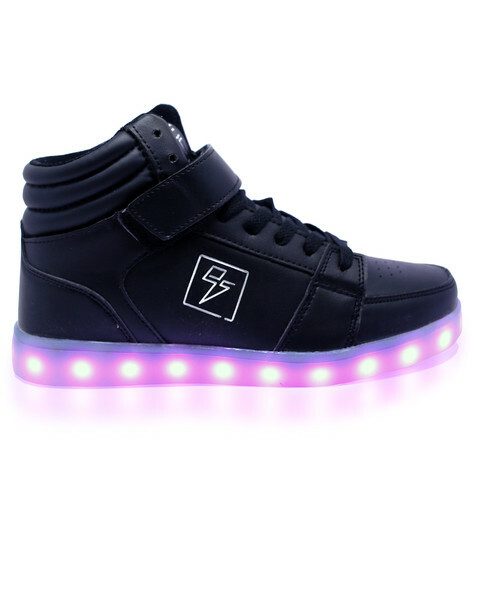 Well now you’ve got a job, moved out, and now you can buy your own pair of LED shoes. 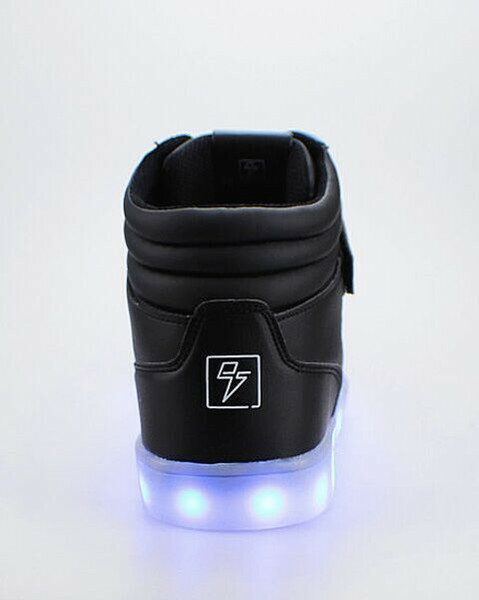 Electric Styles have combined high quality footwear with some additional LED flair. 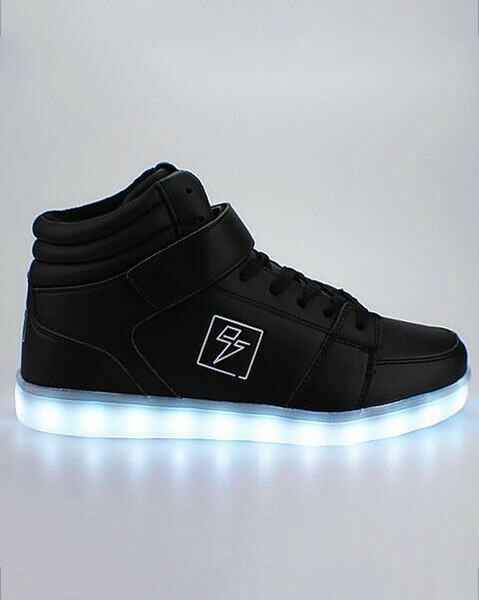 These are not only comfortable, they look cool and also have the added LED factor which is sure to impress any lady or man. 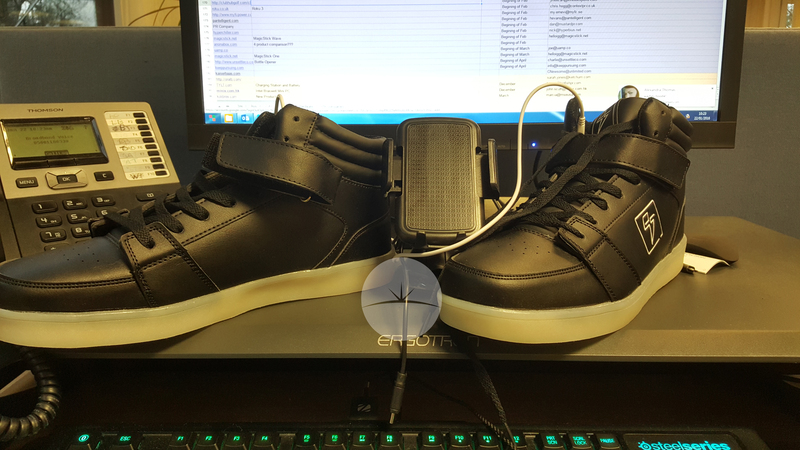 The shoes I was sent were all black apart from the white LED section along the bottom. I love the high top design, and it meant that I could get a good snug feeling around my feet. I did have a bit of trouble with the velcro strap and the laces, as they tended to get stuck on the velcro, but I managed to get round it. 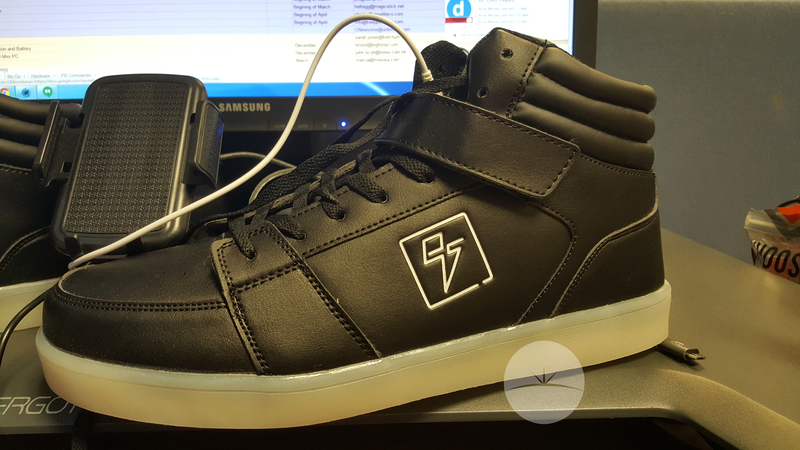 Each shoe has a micro-usb port on the right hand side, this is slightly above the button to turn on the LED for the shoes. There was no indicator light on the shoes to let me know they were charging, I had to leave it a couple of hour s and then start using them. There are a huge variety of light options, including static and dancing LED’s. I was a bit of a fan of the white, as when walking in the dark looked really cool. I would say these aren’t hiking shoes, they are made to be worn when going out or popping down the road, not for a weekend in the mountains. The lights are bright, clear and have have lasted me a couple of nights on a single charge. 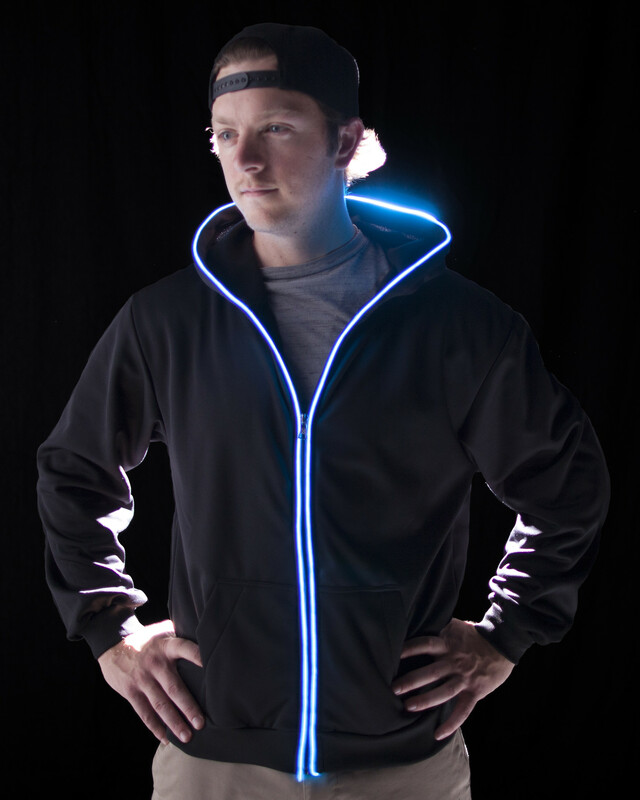 Electric Styles also do other clothing including an LED hoody. They come in one colour models and you can set the flash speed on them, they also sell blink to the beat, which allows the hoody to dance to your music. The hoody comes in at around $50, and the shoes will set you back $90. I am aware of the cheaper models on the market, but these are built to last. 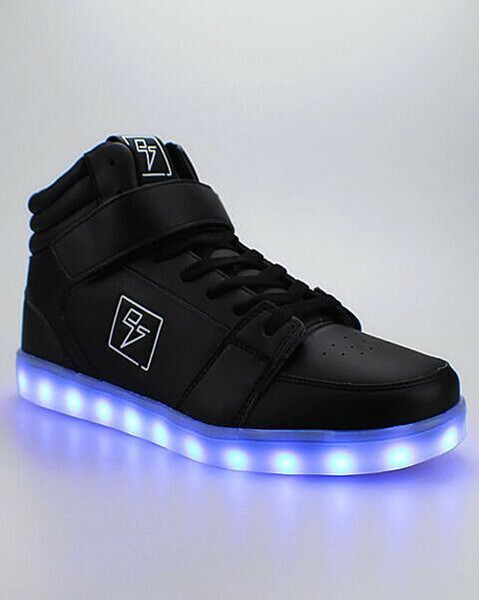 Even without the LED’s on they are a good looking pair of shoes and the LED functionality gives them an added edge.